Mexico is a country of many facets: art, culture, history and places of incredible beauty naturally intersect with each other, succeeding in creating a fantasy of colors unique to the world. A vacation in Mexico is ideal for anyone wanting to experience the sea in all its forms, including diving and snorkeling, but also try strong emotions to discover the magical places of past civilizations. Despite the presence of many popular beaches located on the coast overlooking the Pacific Ocean, Baja California, is a must to consider the Riviera Maya as the main destination for tourists who choose Mexico as their beach destination. This stretch of coastline, with its soft golden beaches surrounded among the ruins of the ancient Mayan civilization and the sparkling blue sea full of corals and tropical fish, certainly offers the very special and unique scenery. better to try to understand what is the main lever that drives such a large tourist traffic, analyzing some key points that you should know if you decide to visit this beautiful country. Learn about its climate, know what means to use to achieve it, be informed about the type of tourist facilities it can offer and get an idea of what are the most beautiful beaches in Mexico, are undoubtedly some good starting points to better organize your journey and have the security of a nice time. With nearly two million square kilometers, Mexico is bordered to the north by the United States and to the south with Guatemala and Belize. It is bathed by two seas: in the west it is bordered by the Pacific Ocean, while the east coast of the Yucatan Peninsula overlooking the Caribbean Sea. Those who want to reach the coasts of Yucatan, mainly uses the air: the main airport is the Benito Juarez International airport that is located approximately 13 km from Mexico City, the capital, while other important airports are those of Acapulco, Guadalajara, Merida and Cancun. 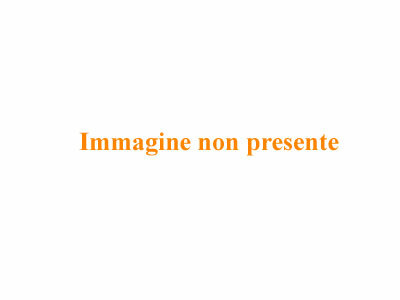 The latter two, in particular, are often chosen by the Italians to reach the Riviera Maya due to the presence of weekly flights or charter flights online. 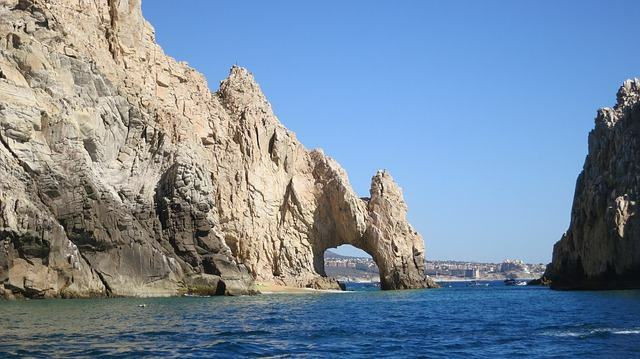 To visit, however, the beaches of Baja California, the leading airport is definitely one of San Diego. The flight hours to arrive in Mexico are about 12, and most airline offers departures from almost all major cities of Italy. Thanks to its wide variety of temperatures, Mexico can be visited throughout the year, each zone, however, has his best season: along the Pacific coast and the Caribbean Sea, the recommended months to take a trip in Mexico they are certainly those winter and spring. Between November and April, in fact, this country offers the best part. In these periods, temperatures hover around 30 ° C (26 ° C the water) and never run the risk of meeting the famous hurricanes so much feared by tourists. The month of March, in particular, with the winds that blow in the middle of the day, is by far the favorite with surfers from every area of the planet. 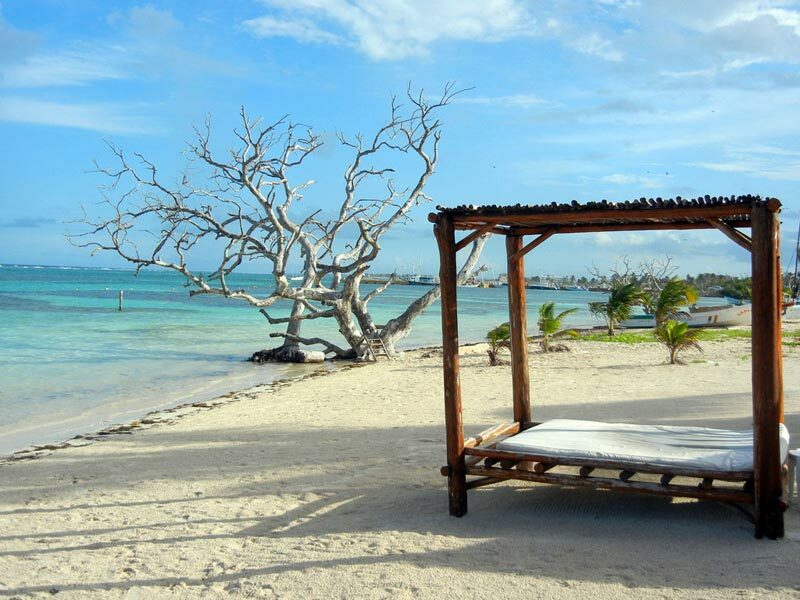 The Riviera Maya and the southern part of the Baja California present a panorama of very wide tourist offers. You can go from the accommodations in posadas, simple Mexican pensions, holiday parks and mega luxury hotels that offer any kind of comfort, while remaining satisfied with their choice. The accommodation facilities in Mexico are ranked according to the international classification that goes from 1 to 5 stars. Who decides to spend his vacation in this beautiful country, may choose, for example, if you stay in one of the hotel made by the ancient palaces, to make it even more impressive your stay, or stay of the holiday parks in a dreamlike accommodation equipped with every comfort. The Riviera Maya stretches along the Caribbean coast in the eastern part of the Yucatán Peninsula and includes any area ranging from Puerto Morelos to the Reserva de Sian Ka’an Biosphere dela. In areas that were once occupied only and exclusively by small fishing villages, it is now the biggest tourist center of attraction in all of Mexico. Mayan Beach in Tulum and the beach of Mahahual in Quintana Roo are just some of the magnificent beaches that offers this glitzy Mexican coast. 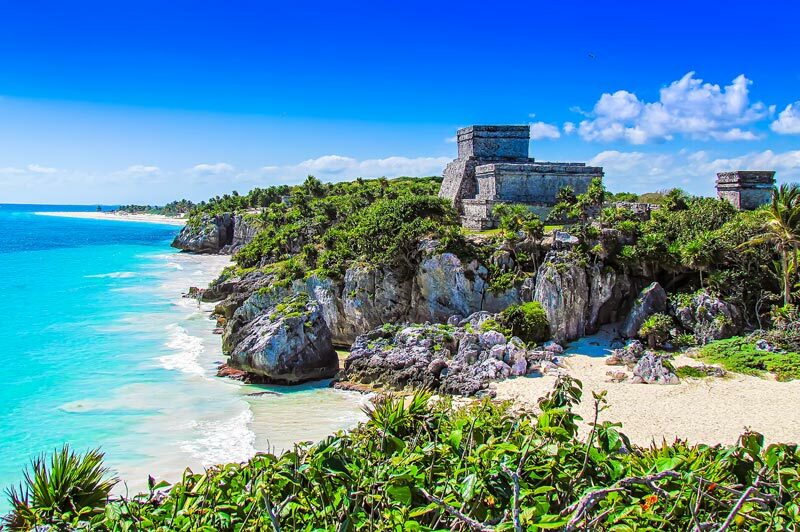 Tulum is located about 60 kilometers south of Playa del Carmen and about 120 from Cancun. Maya Beach is one of the most beautiful beaches in the world, placed under some extraordinary Mayan ruins overlooking the sea. It is accessible by a staircase and has a beautiful coral reef surrounded by a sea of really particular colors. Defined the heart of the Riviera Maya button, Mahahual (distant 143 km from the city of Chetumal) reminds tourists that years ago was Playa del Carmen: a picturesque fishing village that still retains the charm of this magnificent country, with old traditions are still deeply rooted in the minds of its inhabitants. It is easy, in fact, fall in love with this beach because the scents of his forest, the sea breeze and the sea of an intense blue color will give you very specific emotions. 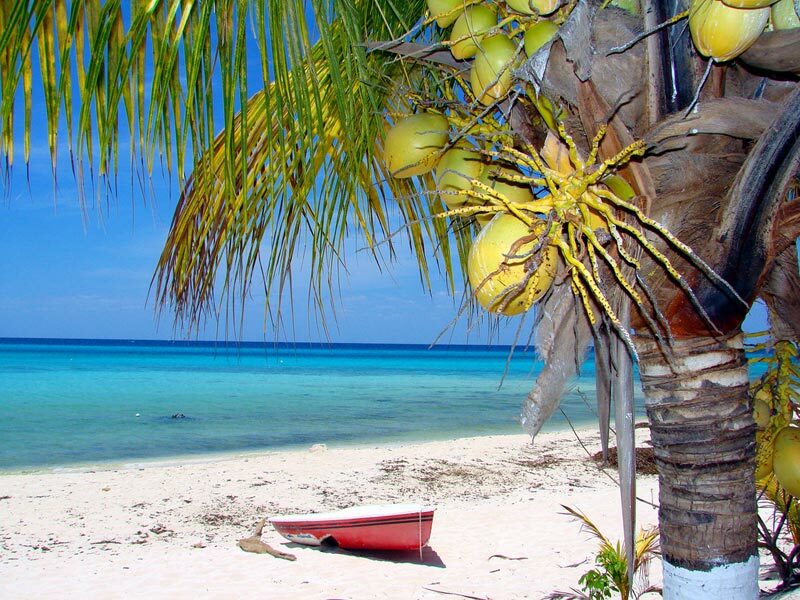 If you are on holiday on the coast of Chetumal, you should definitely not miss this beach! It is the most fashionable beach in Mexico, that where there are the most local and the most popular bars in the area. Close to the fortresses of Tulum and Coba, Playa del Carmen is located right in the heart of the Riviera Maya and has a long sandy strip with a very shallow waters, which allows you to make even long walks in the water. At this beach are some of the major Mexican tourist facilities that, very often right by the sea, offering specific treatments that have nothing to envy the most famous SPA in the world. 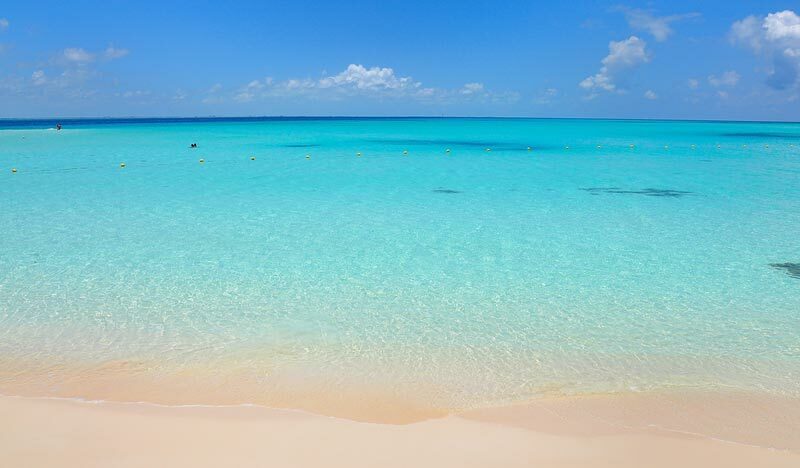 White sand and turquoise water characterize this beautiful Cancun beach. Ideal for bathing, but also for water sports, Playa Las Perlas is the first beach you come from the center of Cancún after crossing the bridge. The sea is shallow and has a myriad of fish to observe. We highly recommend the use of masks and fins to enjoy fully the spectacle offered. Baja California, the Mexican peninsula that lies to the south-east of the State of California, is a much loved place by the Americans who worship there spend most of their holiday. Along the Gold Coast, running from Tijuana and Rosarito touches, Ensenada, San Quintin and ending with Cabo San Lucas, you are the most beautiful beaches in the area. Balandra Beach in La Playa del Amor Paz and Cabo San Lucas are just some of the most spectacular stretches of sand of Baja California. 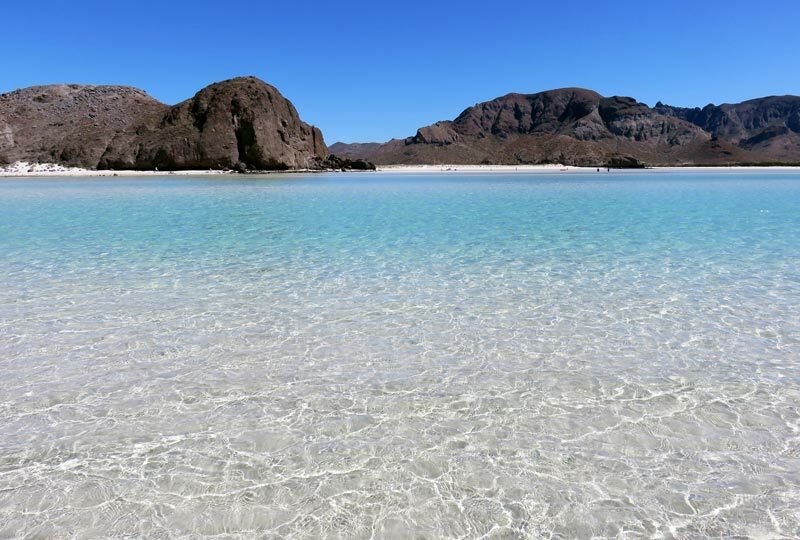 At about 12 kilometers from La Paz Balandra Beach is the best beach in Baja California. Surrounded by desert vegetation and surrounded by cactus and dunes, this beach is located within a bay and has a white sand and crystal clear water and shallow. Balandra Beach is not equipped and is free of bars and restaurants. The particular shape of the landscape, almost lunar, makes it unique in its kind. The place where you meet the Pacific Ocean and the Sea of Cortés has something romantic and unique in the world: Playa del Amor is his name. Protected from the ocean by huge granite rocks, is a true natural pearl so much so that, a few meters from its shore, is easy to spot sea lions and whales pass. In the crowded days, the renting umbrellas and merchants sell snacks, even if, in reality, Playa del Amor is a public beach, without any equipment. With their magnificent coves, emerald waters and small isolated kiosks, Mexico islands offer pristine beaches, away from the bustle of the coast, which are perfectly suited to nature lovers and divers. Isla Mujeres and Playa Norte, Cozumel Paradise Beach, Isla Holbox with whale sharks, Isla Contoy with sea turtles and Islas Marietas with Playa Escondida offer certainly a spectacle of nature that it is difficult to find anywhere else in the world. Off the coast of Cancun, there is this wonderful island dotted with pristine beaches and a very transparent sea. Playa Norte is one of pure white sand surrounded by green palm trees that provide excellent shelter from the sun. On the beach you can also find the famous bar called Buho’s which is always very busy timetable of aperitifs thanks to its excellent dishes perfectly “Mexican style”. Accessible from Playa del Carmen in just 35 minutes, Paradise Beach is located not far from the archaeological site of Tulum. This charming beach is made up of a long stretch of sand equipped where you can enjoy all kinds of water sports. Along one of its sides has a beautiful swimming pool that offers a viable alternative to the already beautiful sea. Bars, music stores and enrich the context of making the day at Paradise Beach unforgettable! 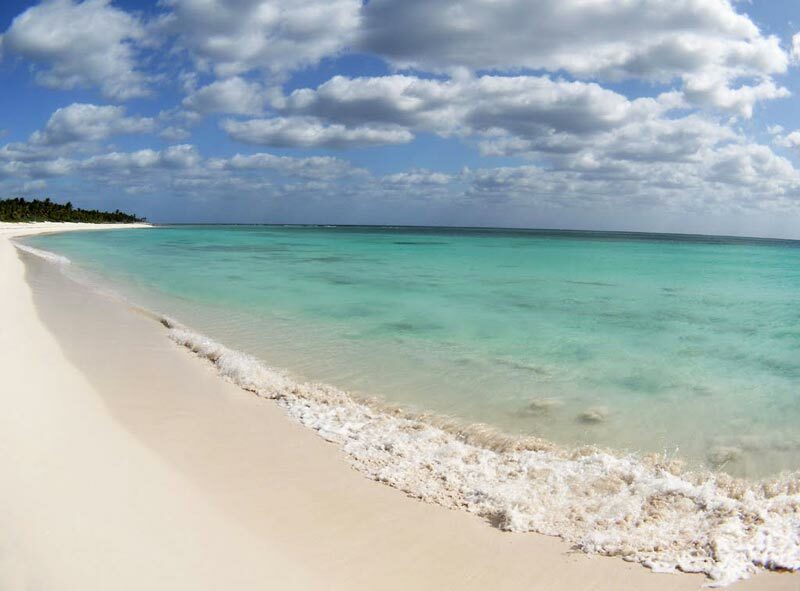 As you have seen, the beaches of Mexico possess an incomparable charm. They remain guarded among the remains of civilization hidden or that they are completely immersed in nature, certainly guarantee an exciting show. If you decide to follow our advice, you will succeed surely to pass in this magical country one of the best holidays of your life, and we are certain that the emotions you will experience on this trip will remain imprinted in your mind.